Improve your data quality in milliseconds. We help you eliminate hard bounces, reduce spam complaints, and minimize fraud in real time. Real time email verification for improved inbox delivery. Real-time email verification works to improve your data quality at the point of collection. It checks to make sure the username is a real/registered account before allowing it to get on your list. This means no more hard bounces. 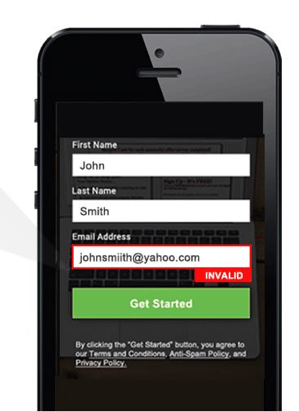 Email verification works on both desktop, and mobile environments. Here are a few of our recommended reads on getting the most performance out of real-time email verification.